Every week, Caroline Wright creates simple, civilized recipes for Food52 that feed four -- for under $20, in under 20 minutes. Today: A simple, tasty dinner that won't interrupt a lazy summer afternoon. I've been lucky enough to brave many of the recent Dallas summer days by a friend’s pool, and I'm even luckier still that this pool has an incredible grill within splashing distance. These wings were eaten as a meal at one such dinnertime when our small group was craving a simple meal to grab between bobbing in and out of the pool. 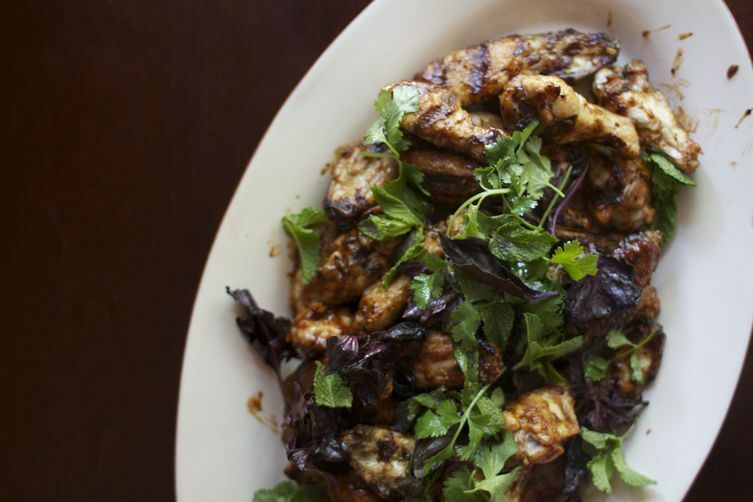 The chicken wings -- just seasoned with salt and pepper, grilled, and then tossed with an aromatic stir-together sauce -- were the perfect summer meal when served with large handfuls of lightly dressed herbs and crudité vegetables. As a freelance food writer and cook, I first wrote this style of recipe as a column on my blog, The Wright Recipes, as an excuse to cook good food for my friends in a quick and simple way. 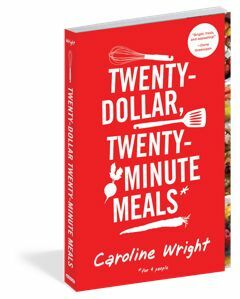 Twenty-Dollar, Twenty-Minute™ Meals grew into a cookbook that was published by Workman in May 2013. The recipes found here are original, made especially for Food52 to once again celebrate simple food with friends. Before her diagnosis, Caroline wrote a book on cakes called Cake Magic!. She started developing a birthday cake using her gluten-free mix found in that book. Check out other recipes she’s developing for her new life—and the stories behind them—on her blog, The Wright Recipes. Her next book, Catalan Food, written with chef Daniel Olivella, comes out in early September from Clarkson Potter.